An overwhelmingly large number of women who have previously had children will make an early decision to have a tubal ligation as a method of contraception. After their tubes are ligated (“tied”), the tubes are closed so that an egg and a sperm are thereby prevented from moving into the uterus for implantation and growth. Many women, however, regret this decision later in life as they desire to have more children. 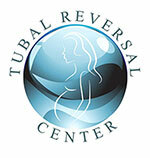 Some will decide to have their Tubal Ligation reversed. Certain gynecologists who have been specially trained to put these delicate tubes back together can perform a reversal through a Microsurgical Tubal Reanastomosis (MTR).